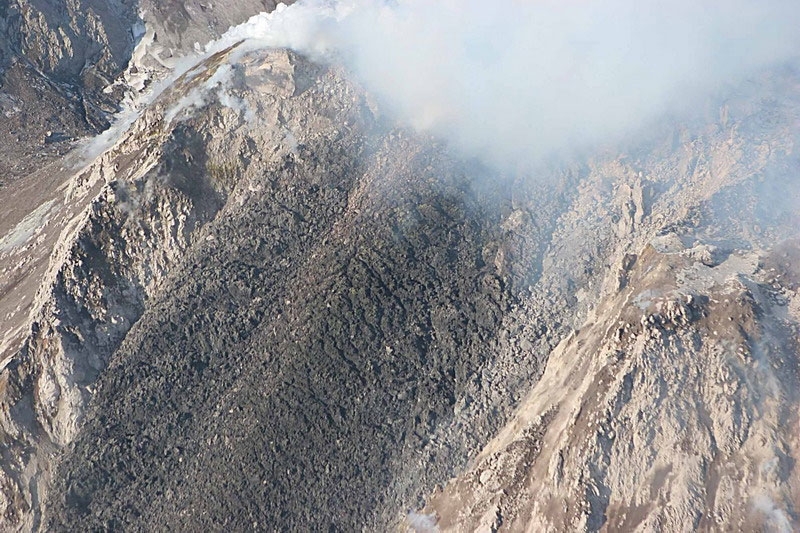 New lava flow after the explosive eruption on October 14-15, 2007. 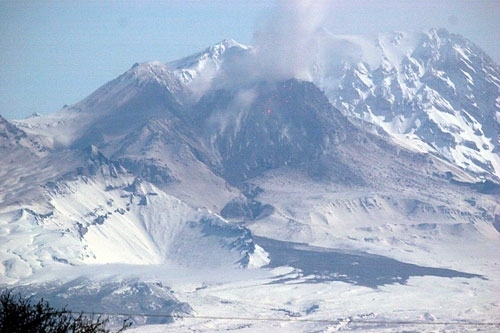 The lava flow of Bezymianny volcano. 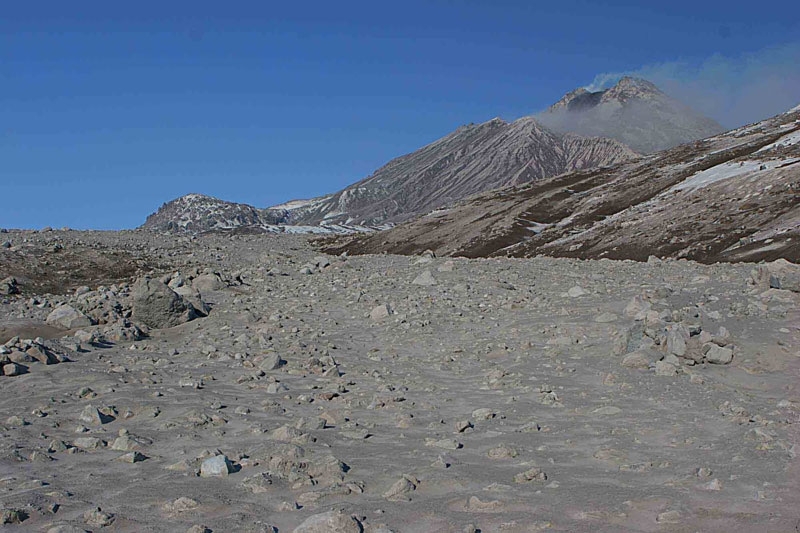 Pyroclastic flow deposits were formed in time of eruption on October 14-15, 2007. 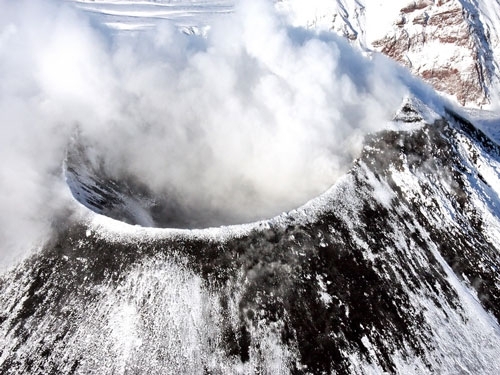 Explosive eruption of Chikurachki volcano on September 08, 2007. 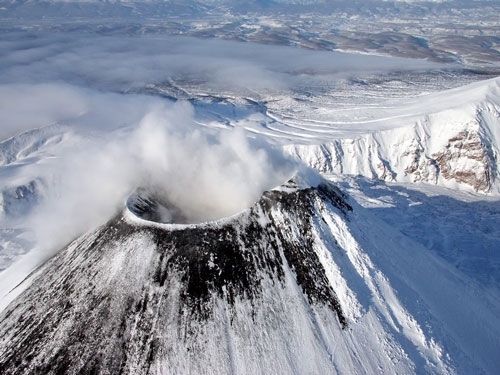 Supported by JSPS (Japan Society for the Promotion of Science) (Project Leader M.Nakagawa). 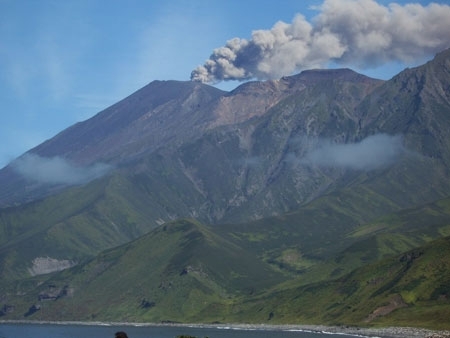 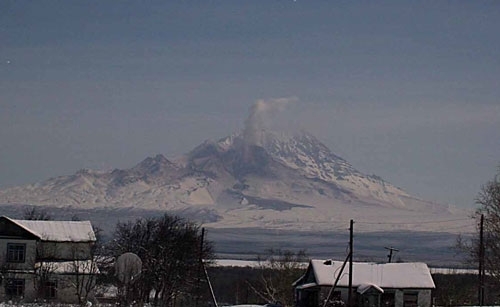 An ash plume is extending to the east-southeast from Chikurachki volcano on September 08, 2007. 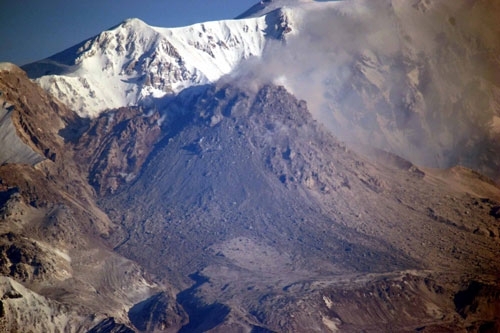 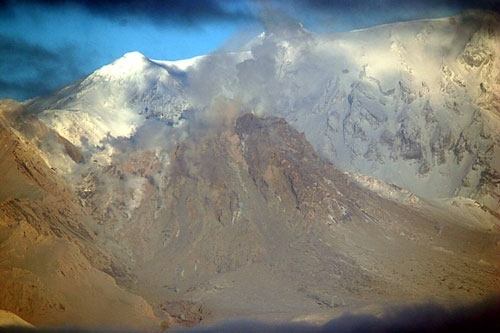 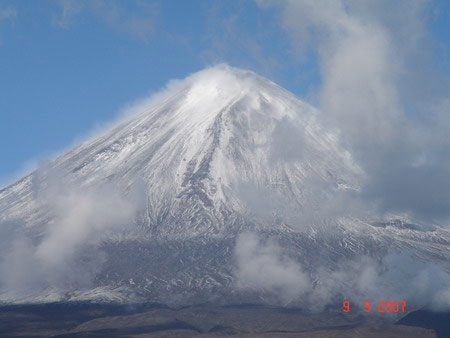 Bezymianny volcano on September 08, 2007. 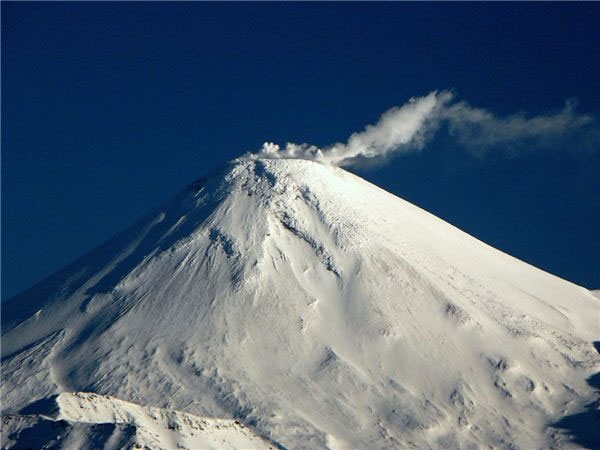 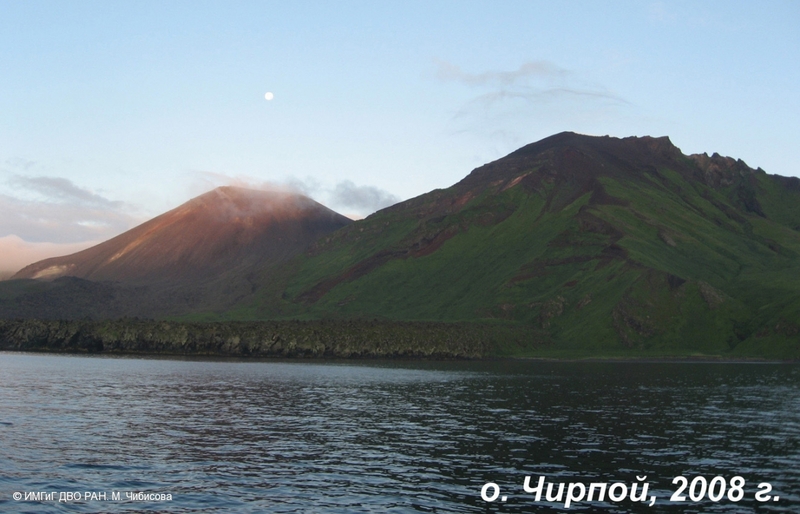 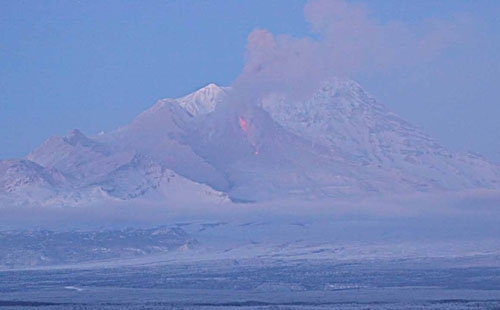 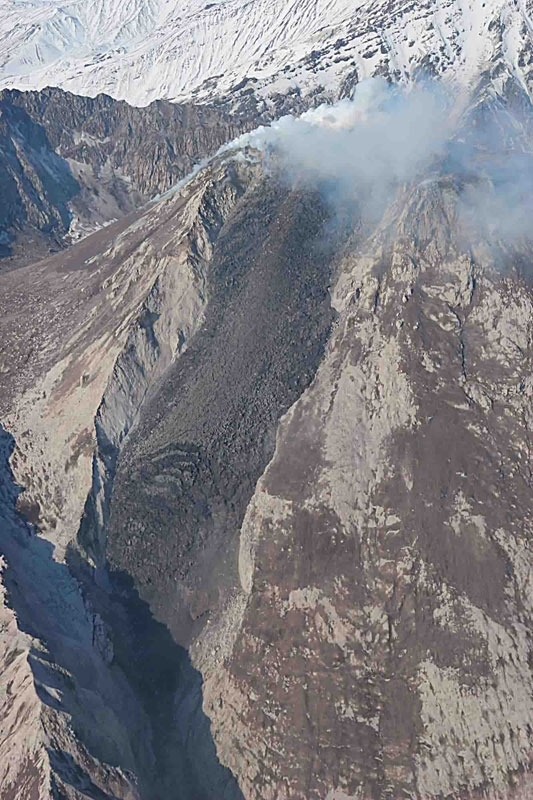 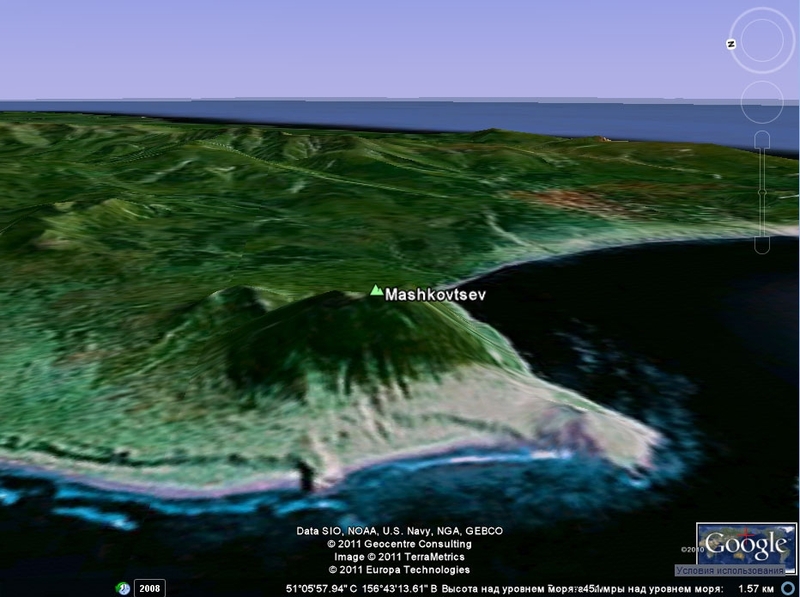 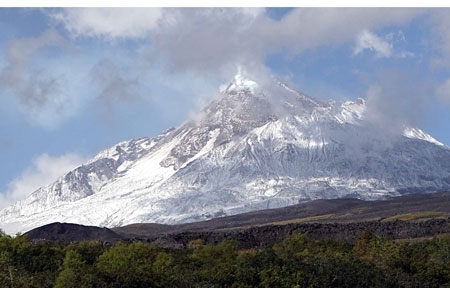 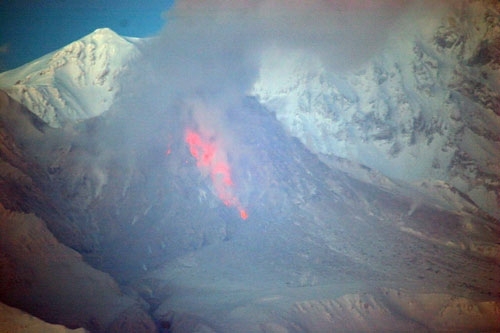 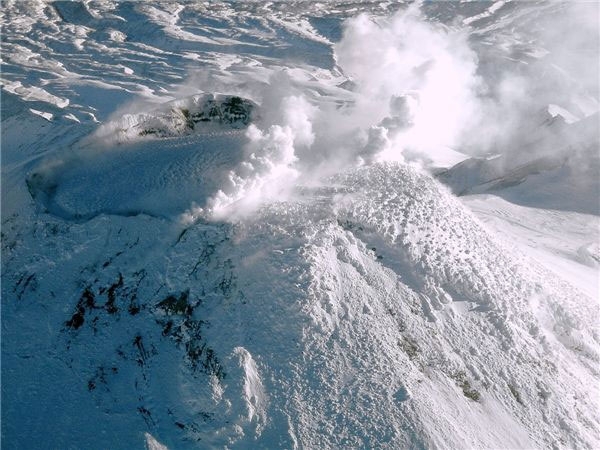 Photo from Avachinsky volcano area.